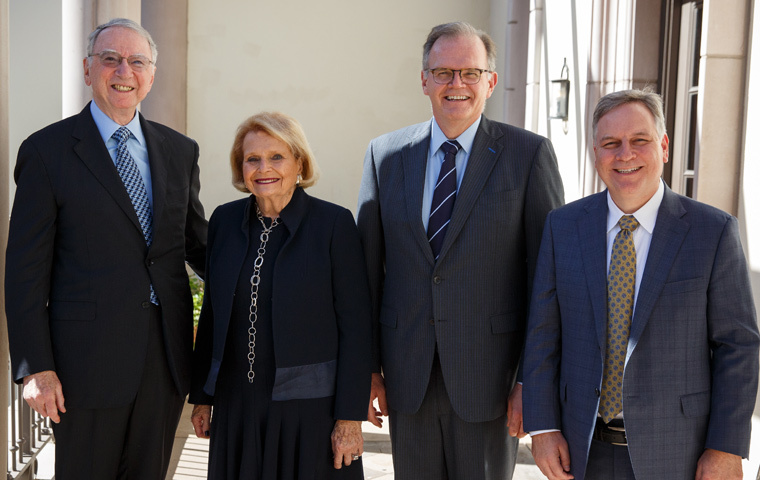 Named in recognition for the generosity and numerous contributions by Dr. Irwin and Mrs. Joan Jacobs over the last seven years, USD recently named the Jacobs Institute for Innovation in Education, a nonprofit, university-based research center at the School of Leadership and Education Sciences. In collaboration with some of the nation’s largest urban school districts, the team of experts at the Jacobs Institute has taken a comprehensive approach to identify best practices, build capacity and improve student outcomes through research and evaluation, strategic direction and professional learning. 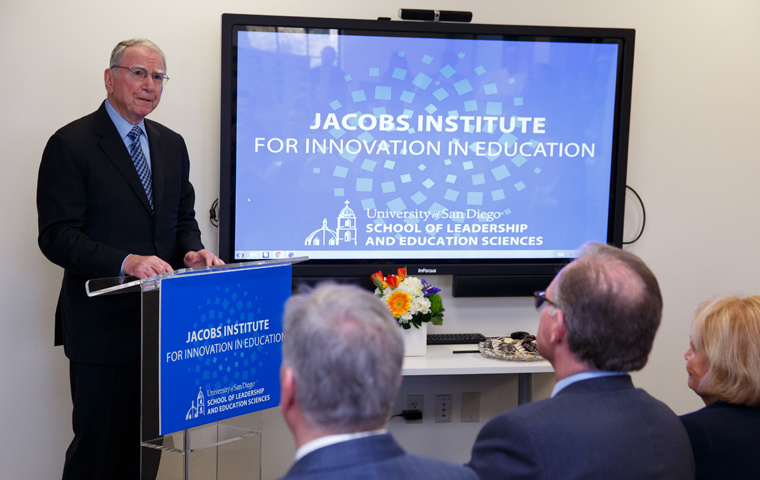 The Jacobs’ commitment to the institute stems from their passion for education and their belief that technology can create better, more innovative, and more equitable learning opportunities for students.